Is it enough to finalize the SolarCity acquisition? The public first heard of Tesla’s intent to acquire SolarCity earlier this year. Despite the fact that the deal hasn’t officially closed, both companies are keen to demonstrate the potential of this collaboration. This made the most recent announcement, which happened yesterday evening, something that everyone was really looking forward to. Elon Musk has already talked about what could be expected. Leading up to this big reveal, he spoke about creating a new roofing system that could redefine how we use solar power. It turns out, this will be directly integrated with the Powerwall 2.0, which will serve as the home energy storage solution. Just this week, during Tesla’s third quarter earnings call, Musk shared additional information about the new product, describing it as “impressive” and noting that it has exceeded his expectations. The goal? To replace 5 million rooftops with Tesla’s more sustainable solar alternative. At the event, Musk was surrounded by houses of many styles, all newly fitted with the solar technology. The roofing material has been designed to aesthetically match a few different roofing structures, such as French slate, flat modern, and even Tuscan style curved roof tiles. 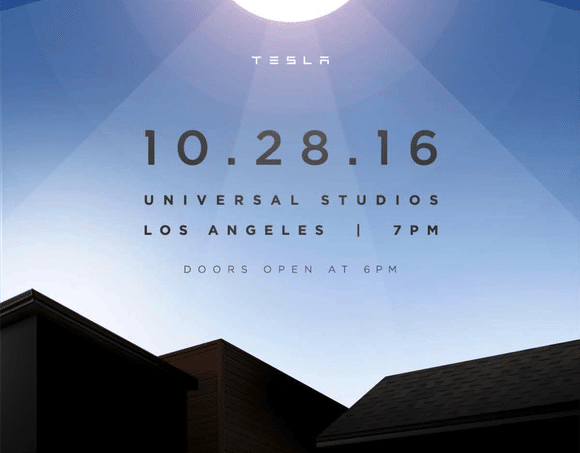 During the unveiling, Musk also discussed an upgrade to the Tesla’s Powerwall. The Powerwall 2 will cost $5,500 and will have double the capacity (14kWh) of the first generation product. Majority of American homes use asphalt shingles for roofs. While cheap, its affordability does come at a price. They absorb heat, and aren’t very durable, and in terms of sustainability, they are fossil fuel based and are difficult to dispose. An affordable, environmentally friendly option would indeed be a welcome alternative. Still, the availability of these alternatives, including Tesla’s new roofing system isn’t an all encompassing solution. As Musk explained prior to the launch of his latest product, the system isn’t designed to be a retrofitted into existing homes. It’s designed for anyone constructing new homes or those planning to replace an aging roof. Other concerns, such as the need to install it at “latitude-appropirate angles,” or its durability when exposed to harsh elements, have also been raised.